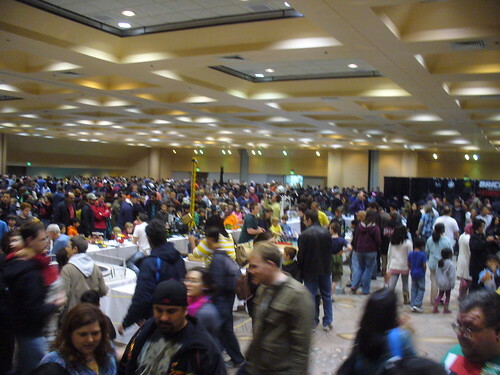 Okay, so its a tad late, but I’ve finally found a bit of breathing space to sit down and talk about Bricks by the Bay 2012. I did make a bit of a mistake this year though, I agreed to do too much! Not only was I a vendor as always, but I also agreed to give 2 presentations and participate in 2 panels as well as being the Art Theme coordinator. That coupled with a semi-accident while driving up there — don’t worry, I didn’t get hurt or anything, but I did puncture 2 tires and have to get a whole set of new ones 400 miles from home — kind of wore me out. Needless to say, I won’t be doing as much next year. 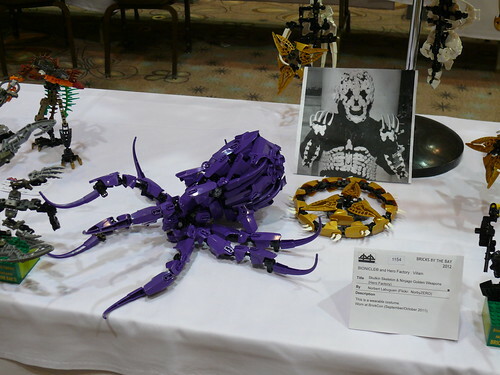 And it was no surprise that Norbert Labuguen almost exclusively swept the Bionicle category. As seems to be common now, I didn’t get to see or do everything I wanted too, but even so, it was the fun start to my LEGO Con season. Hopefully I’ll do a little better reporting at my next convention. I will be working a commission at a convention next month, and if I’m allowed, I’ll post about it, but I have to wait and see if I get permission. In May I’ll be at the Phoenix Comicon. 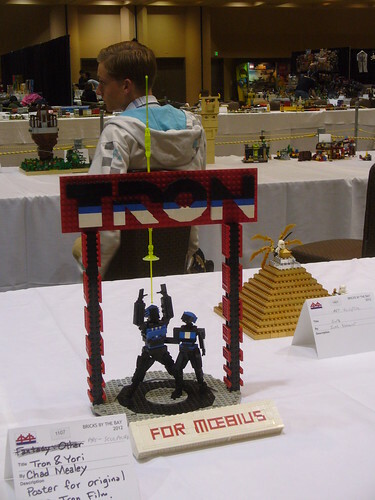 I’ll have some of my LEGO models on display with the local LEGO LUG and if I have time, a new mosiac for the event. So I will certainly be talking about that as it gets closer. Normally I like to keep this blog a happy, worry free place, but this is too important not to post. 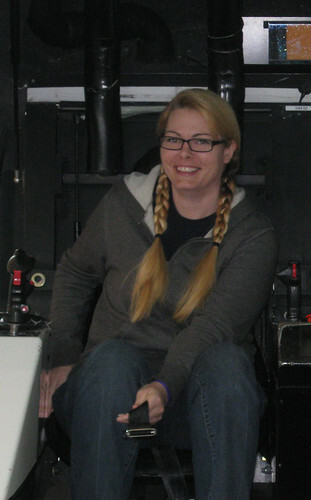 Fellow female LEGO Fan and friend Heather Braaten is missing! Her name is Heather Braaten and went by HeatherLEGOgirl here online. A couple months ago she removed her flickr, facebook, and MOCPages profiles but now her mother had called me this morning stating that she was missing and has been since last Tuesday. Police are on the search but her family would like to know her whereabouts any way possible. Here is a photo of her. If anyone knows her whereabouts or knows when you contacted her last, please chime in here. And if Heather you are out there, please let us know. You have a lot of people worried about you, honey. Heather, if you are out there and reading this, please at least contact your parents. 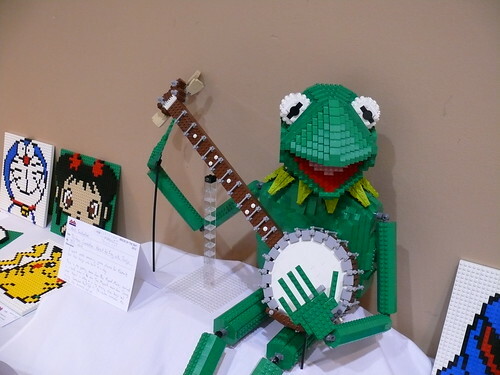 And know that we of the LEGO community that know you love and miss you! If any of you know anything about Heather please contact the Seattle Police. A very noticeable difference this time is that the Minifigs are talking instead of mumbled undecipherable sounds. The mumbling is certainly cheaper for an international game, but after several mini movies, DVD movies and now Ninja-go as a TV series it makes a lot more sense for them to talk. This will be available on June 1st and you can preorder it on Amazon. The Each Uisge is a variation on the Scottish legend of the Kelpie, or water horse. 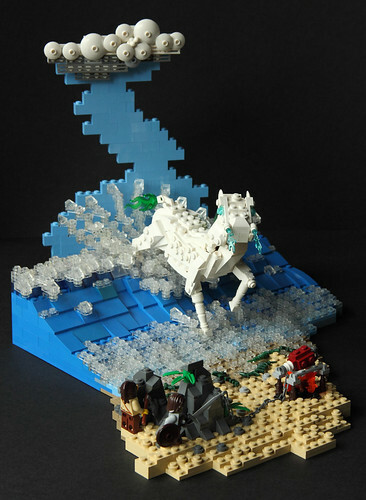 They are dangerous, shape-shifting water spirits that appear to people as either a magnificent white horse, or a very handsome man. In horse-shape, they will entice riders onto thier backs. However once mounted, their skin becomes adhesive and the rider cannot escape – the Each uisge will then carry thier victim into the water, drown them and eat their flesh. A popular scottish myth concerns a blacksmith who lost his daughter in this way and vowed revenge. He and his son fashioned huge hooks which they then embedded in a sheep carcass. They then chained the carcass to the ground near the waters edge, and roasted the meat over a fire, heating the embedded hooks red hot. Drawn to the smell of the roasting meat, the Each uisge appeared and took the bait, and was in this way was caught and ambushed by the men. After a battle that raged throughout the night, the blacksmith killed the water spirit, which melted into a puddle of pink slime by daybreak. 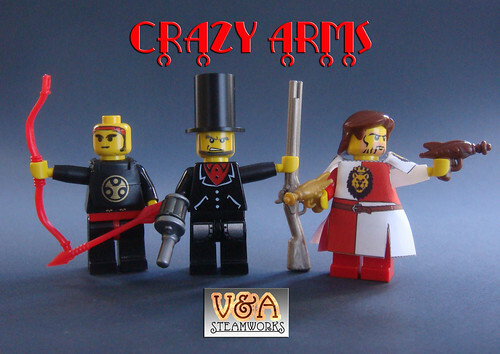 Have you seen V&A Steamworks Crazy Arms? I have always loved minifigs and customizing. Although if you wanted a more dynamic arm position, you are a somewhat restricted or in need of jury rigging some flex tubing to get the job done. I just finished a batch of these custom arms and have them now available for folks to use. The replacement ‘Crazy Arms’ are highly engineered in that they accept the existing hands perfectly ( they click right in ) and POP in the existing torsos with a nice click. They can easily be swapped and changed out. They come in Black, Cocoa, and Eggshell White. I may also run some additional custom colors soon. 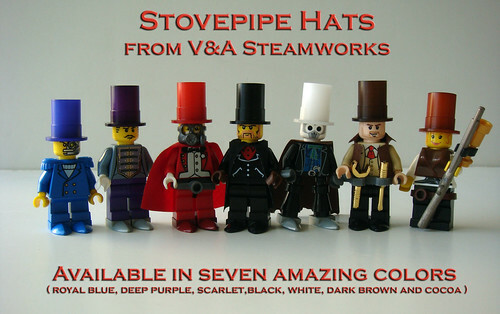 Just like his Stovepipe Hats these are custom made and only available from the man himself. Hats will be $3 and a pair of Crazy Arms is $5. Come on by and get some for yourself. 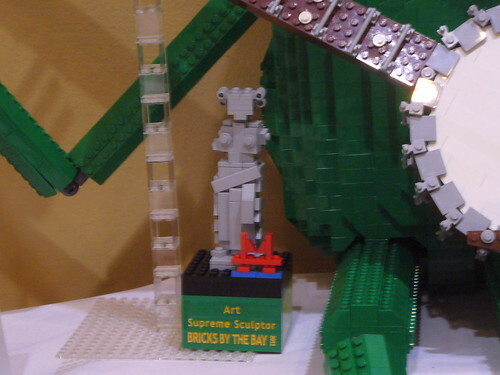 One week till Bricks by the Bay! As you’ve probably noticed. I’ve been a little MIA here on my blog recently. Well, as you can see from the photo, I’ve had a good reason. 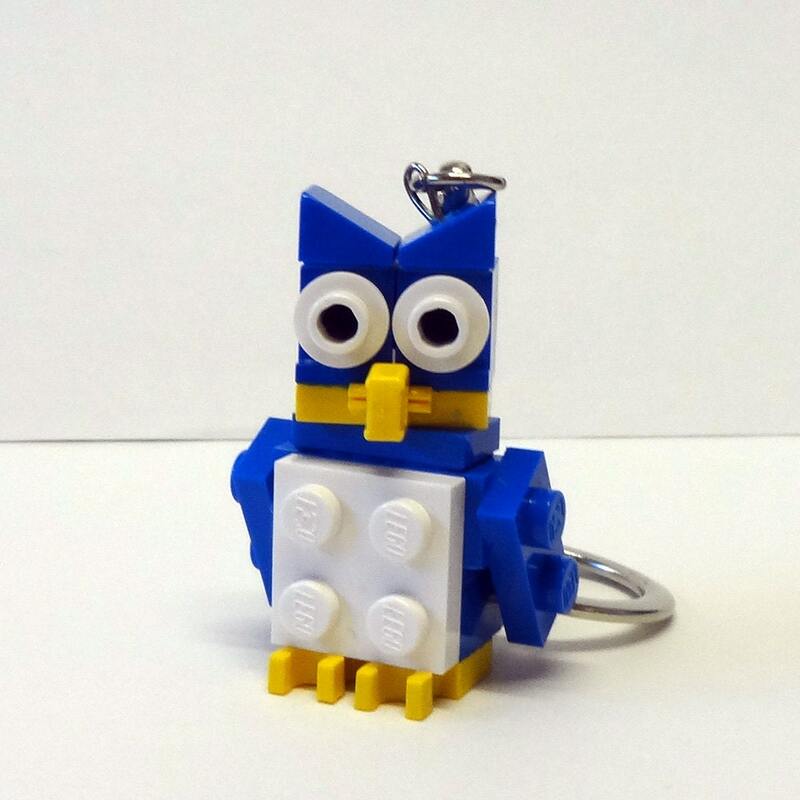 I’ve been making all of these earrings, necklaces and key chains for Bricks by the Bay. I’m rolling out a lot of new designs and thanks to the Friends line (see all the pinks and pastels? ), lots of new colors, that will be seen for the first time this month. Not only did I make all the items you see listed, I made twice that much! 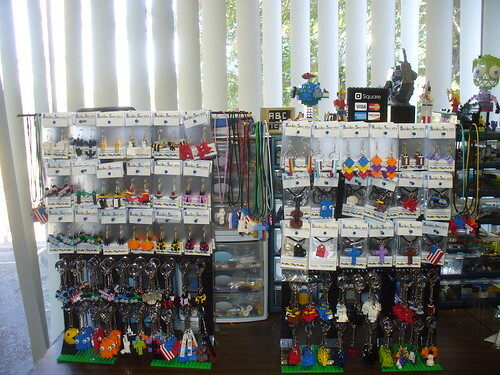 My products will also be at BrickWorld Indy this weekend. Despite the hundreds (and I literally mean hundreds) of items I’ve already made I still have a few dozen or two to go. But the big push to get them all made, labeled and ready is easing off. 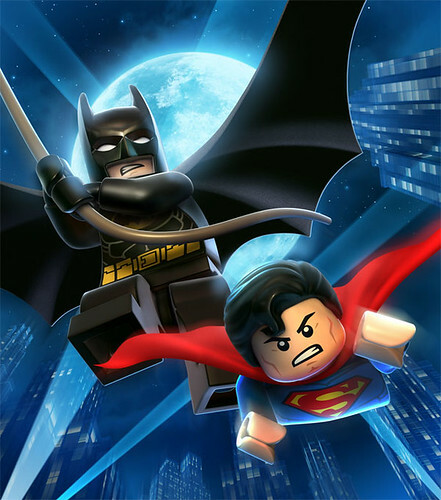 LEGO MoldARama Update 5, originally uploaded by V&A Steamworks. 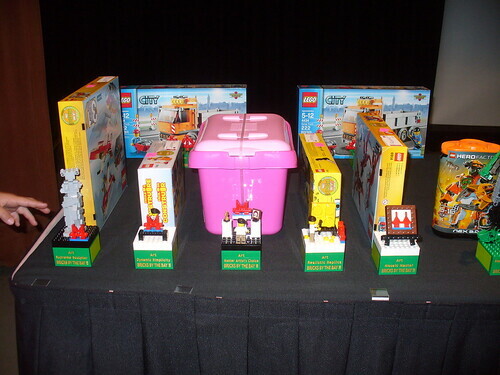 We’re all familiar with the injection molds that LEGO is produced from. Guy Himber’s latest model is a snazzy minifig molding machine! I’m sure many of you are familiar with moleskine notebooks, well now there are LEGO ones! 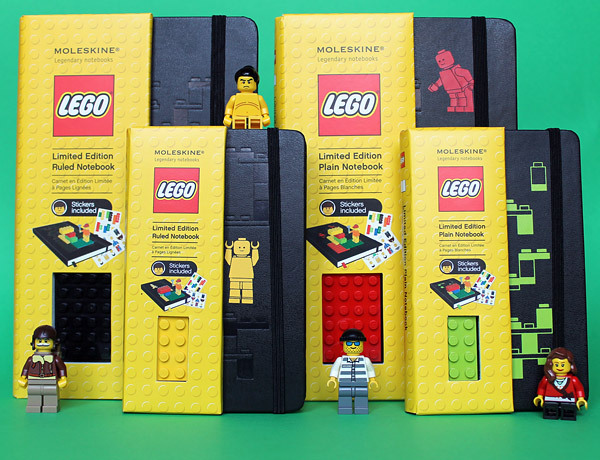 The legends of Moleskine and LEGO finally meet in this instant notebook classic. The themed black cover is debossed with a red LEGO screenprint, and even has a real red LEGO brick embedded in the cover to spark your playful side. As a platform for free expression, you can arrange words, sketches, and thoughts like building blocks and construct a world of your own. With 240 blank pages (120 leaves), use the included themed adhesive labels and let your ideas flow. The distinctive inside cover inspires with the colorful axiom “Think With Your Hands”.